Travelers will be forgiven if they feel as though they are on a tropical Asian island, rather than in Portugal, when they visit Madeira, thanks to the isle’s temperate climate. Its volcanic history did not only help shape a wild yet gorgeous terrain such as what you can see in Ponta de São Lourenço, it also led to the formation of attractions like the black lava bathing pools. Thrill seekers can also try climbing Pico Ruivo, the tallest peak in Madeira. Alternatively, they can proceed to Cabo Girão, which features a skywalk that rewards travelers with gorgeous ocean and cliffs views, or explore the trails of Laurisilva Forest, where they can spot Levadas, narrow stone irrigation channels unique to Madeira. Travelers should also not miss out on trying out local food and drink. The wines are renowned internationally, while the traditional cuisine is also worth trying. 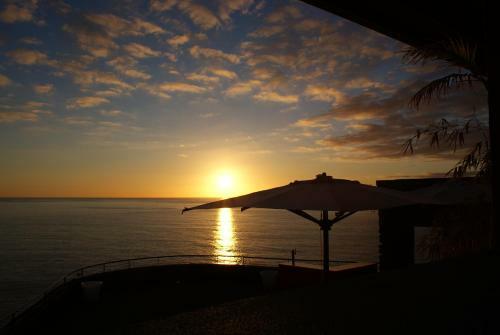 Below are adults-only hotels in Madeira for you to choose from. This resort hotel should not be missed by water lovers. 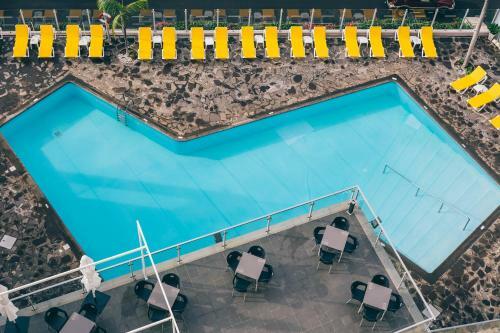 Besides being just a short walk away from the beach, it also features indoor and outdoor pools for those who don’t wish to take a few steps to take a dip. Because the establishment is right on top of a cliff at Ponta D’Oliveira, some lucky guests can enjoy fantastic views of the Atlantic Ocean. Its key location also means that both Caniço and Funchal are accessible by driving. If you want to pamper yourself, head on over to the Onda Revital Lounge Spa, where guests can enjoy a variety of treatments, including Ayurveda therapy. Guests can also relax their tired bodies by going to the saunas and hot tub. For dining options, you need not wander far from the hotel, as it features two restaurants: Restaurant Ondamar offers Italian cuisine, while Restaurant Atlantis features seafood dishes. There is also a bar by the pool where guests can enjoy having a few drinks. Fans of natural healing practices and yoga will definitely love this resort hotel. If you’re serious about experiencing the Ayurveda holistic healing treatment, there are packages here for full board and lodging. 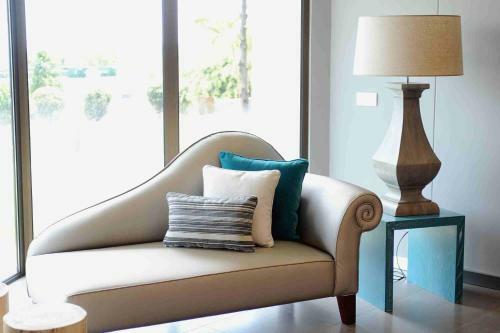 Alternatively, guests can also enjoy meals at the in-house restaurant, avail of the treatments at the cure center separately, or try out yoga classes offered on-site here. The resort hotel also features a garden, where you can enjoy communing with nature. Meanwhile, the breakfast area gives guests fantastic views of the Atlantic. Those who want to stay close to the city should consider staying in this hotel, which is located just a 10-minute walk away from Faichal. If you want to explore the local greenery, Funchal Ecological Park is just a short drive away as well. 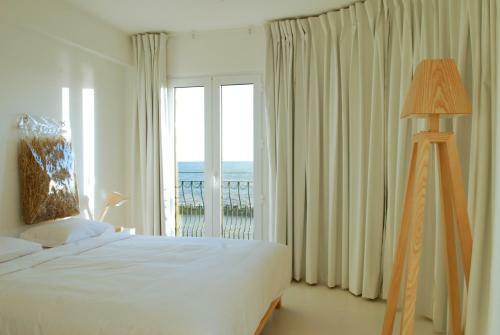 All rooms here come with balconies, so guests can enjoy views of the mountains or the oceans right from their bedroom. If the four-minute walk to the beach is too much of a bother, the large outdoor pool is there for people to enjoy swimming in, or lounging and catching a few rays while lying on the sun loungers. Food and drinks are not a problem here, as the hotel comes with two restaurants - which serve both local and international cuisine - and three bars. Travelers can enjoy panoramic views of the ocean from this hotel, which is perched on a cliff. Besides providing comfortable accommodations, it also offers massage services and Turkis baths to help usher in rest and relaxation for guests. Fitness-minded people, meanwhile, will appreciate the in-house gym, which is well-equipped so people can still work out even while on holiday. The beach, as well as the Monte Palace Tropical Garden and Santa Clara Monastery, is within a walking distance of the hotel. Alternatively, guests can enjoy swimming in the pool if they want to soak in a more controlled environment. For a relaxing activity out of the water, you can enjoy strolling along the gardens. The hotel has an in-house restaurant, so you don’t have to venture far to grab a bite to eat. The most notable - and quirky - feature of this hotel will probably be its Honesty Bar, which, as the name suggests, relies on people’s ability to pay honestly after grabbing whatever drink they want. 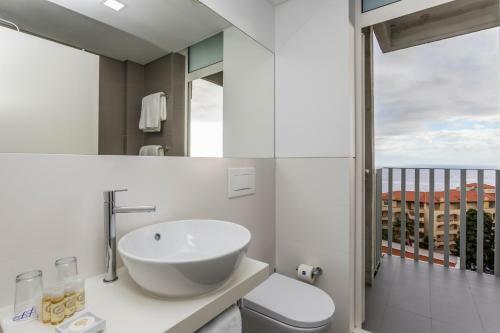 Travelers who will be taking public transportation while in Madeira should consider staying on this property, as it is close to where buses pass by to take people to and from the city center. If you want to rent a vehicle for greater convenience, car hire services are available at the hotel. Marina do Funchal and Pico dos Barcelos Viewpoint are easily accessible by driving. If you love green spaces, the hotel features beautifully manicured gardens where you can rest and relax in. 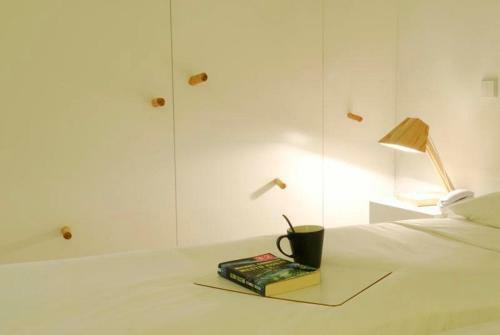 This modern hotel is just a five-minute walk away from the beach, and it’s also close to a local park, a mall, and the promenade. It features two hotels, so you don’t have to venture far if you go hungry. 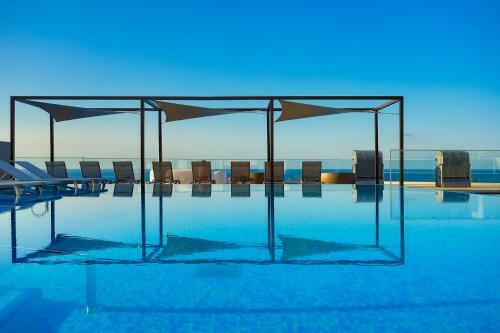 The hotel also has a rooftop bar that provides guests with fantastic views of Funchal. Fitness-minded people will love the fact that this establishment comes with its own fitness center. 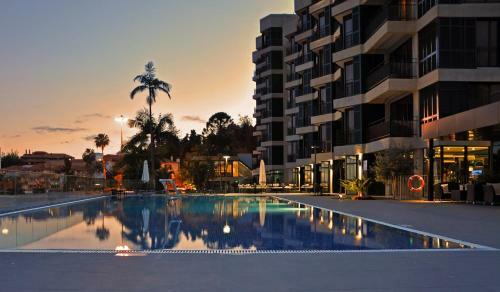 Located practically next door to Quinta Magnólia Park, and just a short walk away from Praia Formosa Beach, this hotel is the perfect option for those who want to stay in a place that’s elegant yet laidback at the same time. A sauna and a spa are available in-house for guests who need a bit of help relaxing, and there are indoor and outdoor swimming pools for those who prefer a more active route to kick back. Enjoy live piano music being played while getting a few drinks at the bar. 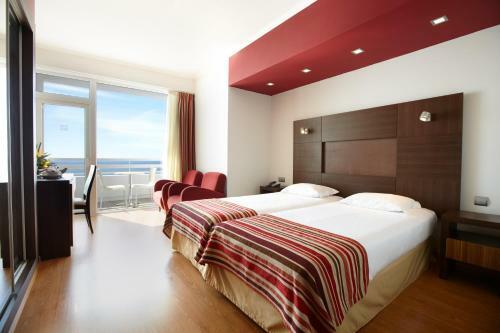 Perhaps the biggest perk of this hotel is its seaside views, which allow guests to enjoy the sight of the Atlantic Ocean right from their bedroom. Checking in at Hotel Da Vila allows guests to have access to its sister resort, which is just a few steps away, where they can make use of its amenities, including a swimming pool, a Jacuzzi, a steam bath, a sauna, and a spa. The establishment itself comes with a restaurant and a bar, so guests don’t have to venture far to enjoy a meal or a drink. In the past, Madeira was dismissed as a travel destination for old ladies, as many of the tourists visiting there were the elderly. These days, however, more and more people are now appreciating the unique beauty and culture of this island. 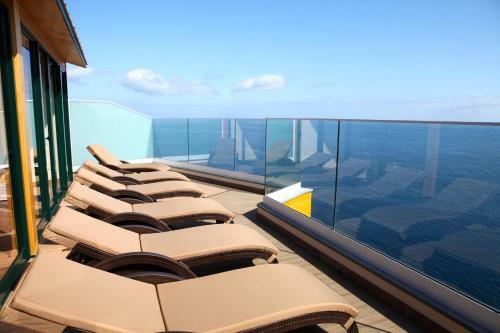 By booking in one of these adults-only hotels in Madeira, you are ensuring yourself a lovely accommodation where you can sit back, relax, and enjoy the best of what this Portuguese isle can offer.